We make payroll service simple. So you can focus on what you love. Keep your employees happy using our re-imagined and fully featured payroll system. Create pay periods, process payroll checks for all your employees at once and even create incidental checks all in one place. Our new payroll system makes taking care of your employees a snap! Get at-a-glance views of your employees' sick and vacation days. Quickly configure how sick and vacation hours are accrued. 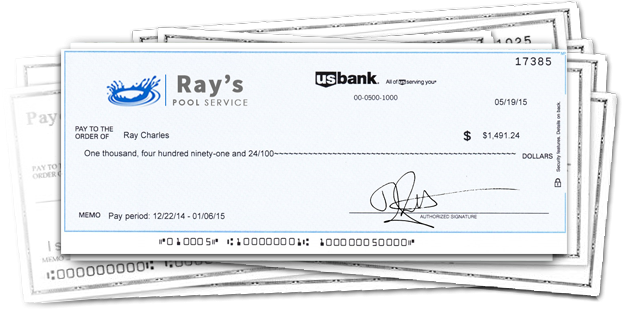 Pool Program 8 now allows you to include commission and bonus pay into your employees' paychecks! Reward your employees for their greatness. Get the most relevant information right at your finger tips with the intuitive Payroll dashboard. 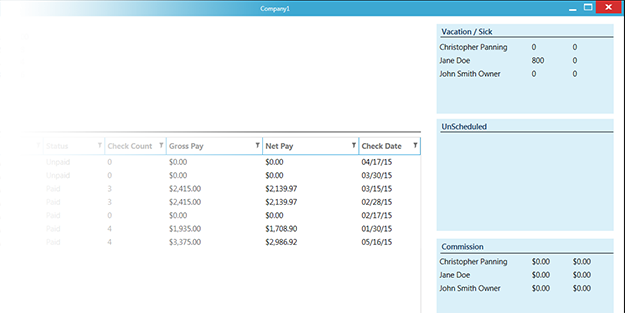 Quickly view snapshots of paycheck and payroll history. At-a-glance views of employee payment and pay period info to help make sure that your business and employees stay on track. 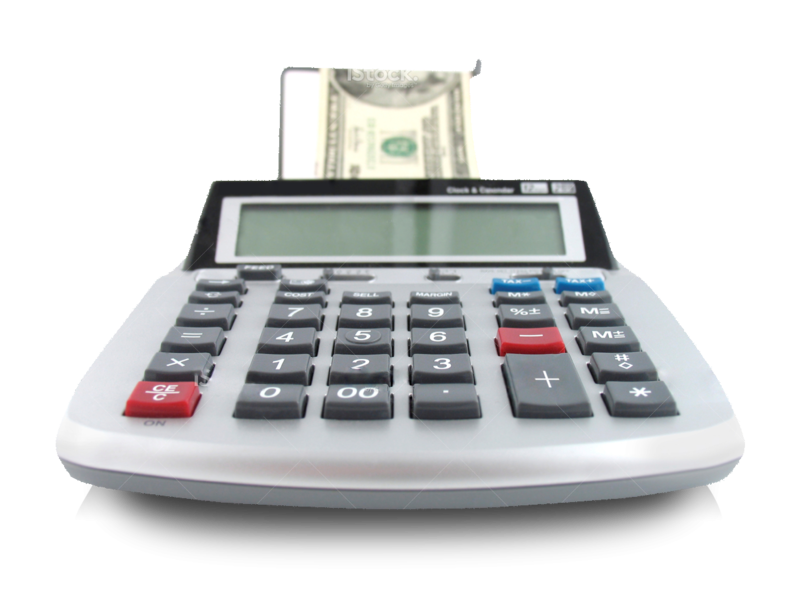 New, flexible deduction system allows for multiple types of payroll taxes and deductions. Our new payroll system allows for printing all your employee checks at once, or individual checks when you need to.